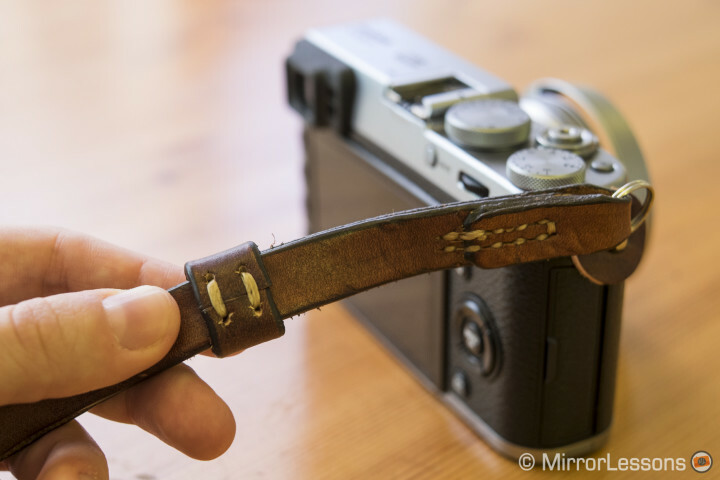 Our friend Matthew Maddock of PhotoMADD recently introduced us to a new brand of leather camera strap that has quickly become one of our favourites for our smaller rangefinder-style mirrorless cameras. The manufacturer is called Nucis. 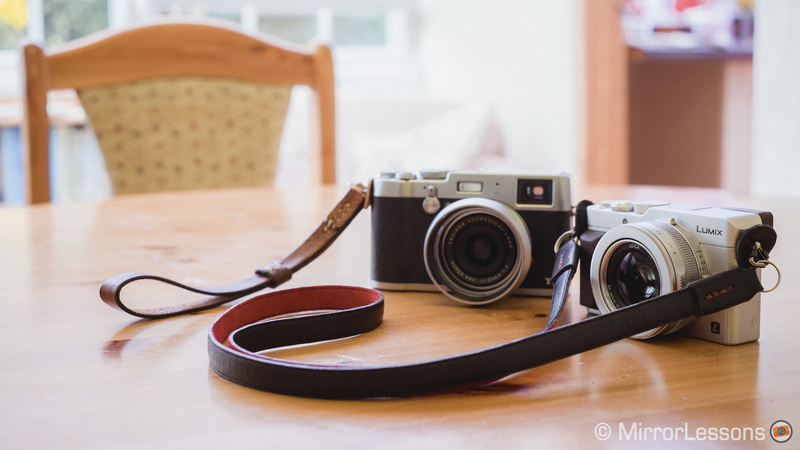 It is the brainchild of Fernando Carvalho da Silva, a Portuguese photographer wanted to create a series of camera straps and cases that were not only appealing but comfortable and practical as well. For testing purposes, Mathieu and I received the Good Vibes neck strap, tan Vintage Wrist Strap and Cork Neck Strap. 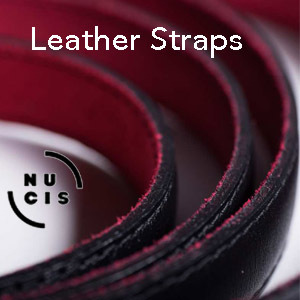 The first thing you’ll notice about Nucis straps is just how thin and lightweight they are compared to other leather straps. 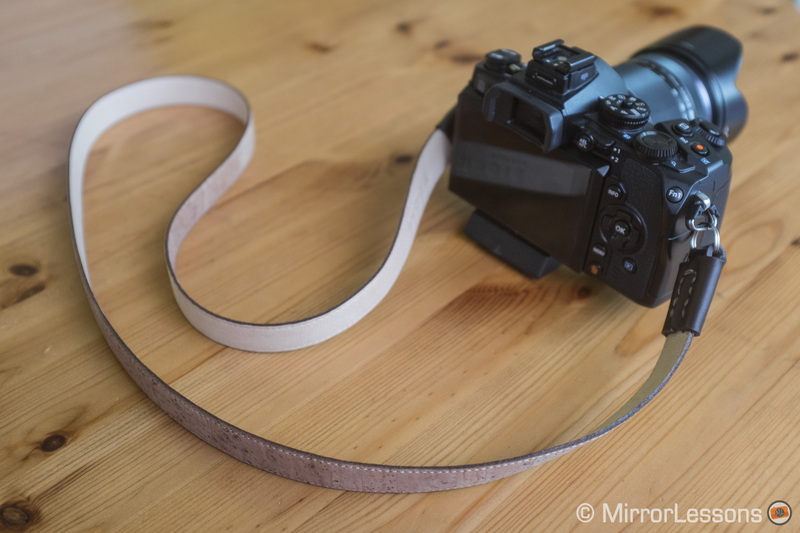 The chance of these straps adding bulk to your set-up is next to none, which is quite important if you plan to use them on a small mirrorless camera. They both come with leather discs that you can attach to your camera’s lugs for protection. The Good Vibes neck strap’s appeal lies in the colour contrast between the upper and lower parts of the strap. The upper side is fashioned in discreet black leather whilst the lower side features a soft suede layer in bright cherry red. To add some extra flare, the ends have been hand-stitched with red thread that matches the underbody of the strap. 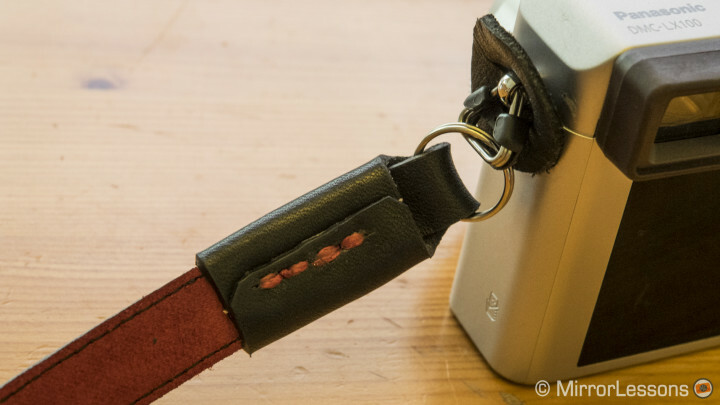 Unlike many other straps, the metal ring fasteners are quite easy to open and slide onto the lugs of your camera. 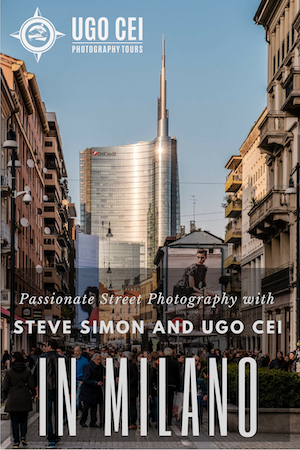 It comes in two different lengths – standard (100cm) and long (120cm). My guess is that the long version would be better for a man as the standard version fits me quite well. We also enjoyed using the Vintage Wrist Strap. 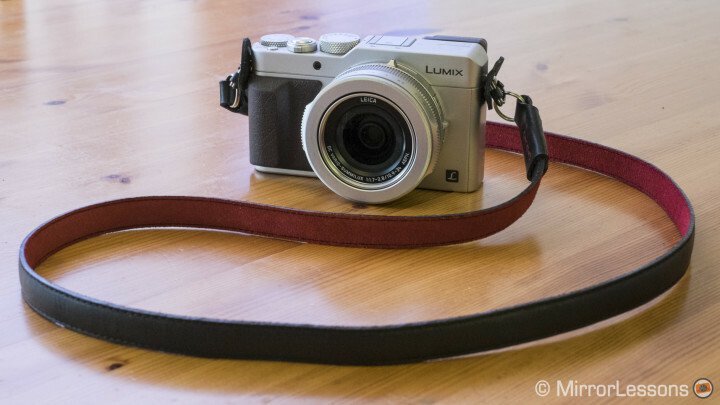 Fashioned completely in smooth durable leather, it adds a stylish and classic look to your camera. Both the strap end and the leather O-ring have been neatly hand-stitched for practical and decorative purposes. I was especially happy with the latter as it easily slides up and down the strap when you want to adjust its size yet has excellent resistance once in place. As with the Good Vibes strap, the metal ring fastener is very easy to open. You may have noticed that I mentioned the word “eco-friendly” in the title of this article. This refers to a unique product produced by Nucis, the Cork strap. 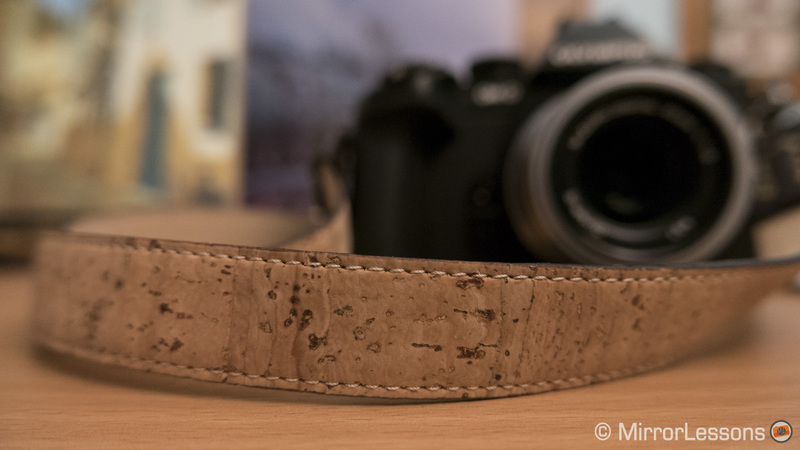 By producing a leather strap that incorporates cork fabric on one side, the company helps to sustain one of the most important ecosystems in the south of Europe, the Montado cork industry. 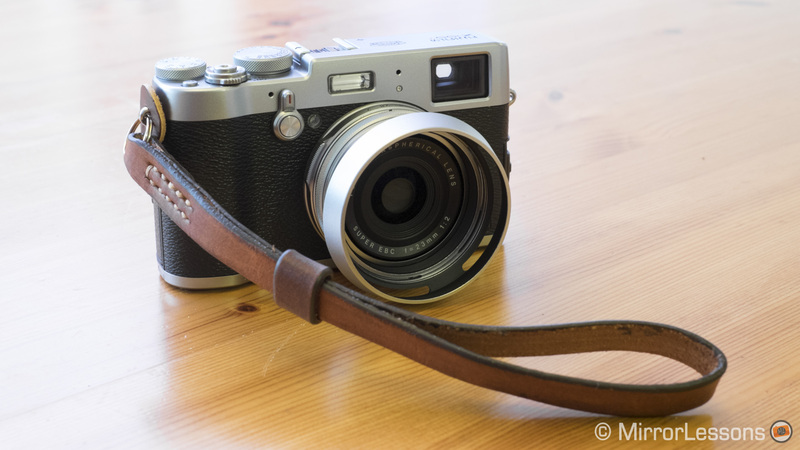 If being eco-friendly weren’t enough, it is also one of the most beautifully-made straps I’ve ever used and looks truly distinctive paired with a vintage-style mirrorless camera. You might naturally think that cork would be prone to breaking or crumbling but this is not the case; it is actually extremely soft, smooth and resistant. The strap is 20mm wide and comes in two lengths (100mm and 120mm) like the Good Vibes strap. Have you tried a leather camera strap from Nucis? If so, tell us about your experience with it!